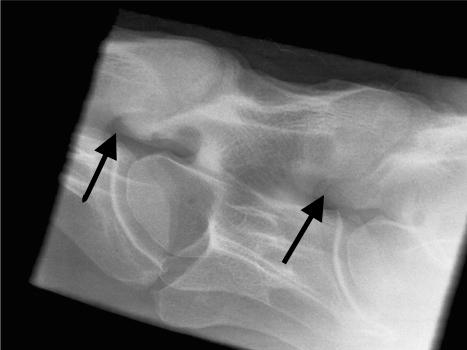 Wobbler syndrome, or spinal ataxia, affects around 2% of young Thoroughbreds. In Europe, the most common cause relates to narrowing of the cervical vertebral canal in combination with malformation of the cervical vertebrae. Narrowing in medical terminology is “stenosis,” and “myelopathy” implies pathology of the nervous tissue, hence the other name often used for this condition is cervical vertebral stenotic myelopathy (CVSM). Wobbler syndrome was the topic of this summer’s Gerald Leigh Memorial Lectures, an event held at Palace House, Newmarket. Gerald Leigh was a very successful owner/breeder, and these annual lectures, now in their second year, honor Mr. Leigh's passion for the Thoroughbred and its health and welfare. The lectures are attended by vets, breeders and trainers, and this year because of the importance and impact of wobbler syndrome on Thoroughbred health, several individuals involved in Thoroughbred insurance were also able to participate. Dr. Steve Reed, of Rood and Riddle Equine Hospital, Kentucky and international leader in the field of equine neurology gave an overview of wobbler syndrome. Affected horses are ataxic, which means that they have lost the unconscious mechanisms that control their limb position and movement. Young horses with CVSM will generally present for acute onset of ataxia or gait abnormalities, however, mild ataxia and clumsiness may often go unnoticed. Trainers often report affected horses are growing rapidly, well-fed, and large for their age. It is common for riders to describe an ataxic horse as weak or clumsy. Sometimes, a horse that has been training normally will suddenly become profoundly affected, losing coordination and walking as though they were drunk, or in the most severe cases stumbling and falling. Neurological deficits are present in all four limbs, and are usually, but not always more noticeable in the hindlimbs than the forelimbs. In horses with significant degenerative joint disease, lateral compression of the spinal cord may lead to asymmetry of the clinical signs. When the horse is standing still, it may adopt an abnormal wide-based stance or have abnormal limb placement, and delayed positioning reflexes. At the walk, the CVSM horse’s forelimbs and hindlimbs may not be moving on the same track, and there can be exaggerated movement of the hindlimbs when the horse is circled. Detailed physical examination may reveal abrasions around the heels and inner aspect of the forelimbs due to interference and short, squared hooves due to toe-dragging. 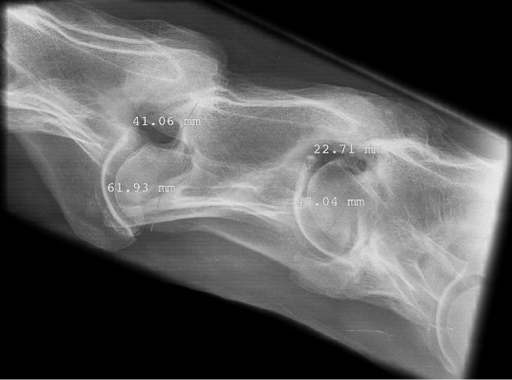 Many young horses affected with CVSM have concurrent signs of developmental orthopedic disease such as physitis or physeal enlargement of the long bones, joint effusion secondary to osteochondrosis, and flexural limb deformities. Dr. Reed also highlighted myelography as the currently most definitive tool to confirm diagnosis of focal spinal cord compression and to identify the location and number of lesions. The experts presenting at the Gerald Leigh Memorial Lectures agreed that myelography is essential if surgical treatment is pursued. However, an important difference between the U.S. and Europe was highlighted by Prof. Richard Piercy of the Royal Veterinary College, University of London. In Europe, protozoal infection is very rare, whereas in U.S., equine protozoal myeloencephalitis can cause similar clinical signs to CVSM. Protozoal myeloencephalitis is diagnosed by laboratory testing of the cerebral spinal fluid, but there is also a need to rule out CVSM. Therefore, spinal fluid analysis and myelography tends to be performed more often in the U.S. Prof. Piercy pointed out that in the absence of this condition, vets in Europe are often more confident to reach a definitive diagnosis of CVSM based on clinical signs and standing lateral radiographs. Dr. Reed went on to discuss medical therapy in horses with CVSM, which is aimed at reducing cell swelling and edema formation with subsequent reduction of the compression on the spinal cord. In the immediate period following an acute onset of neurologic disease, anti-inflammatory therapy is important. Thereafter, depending on the type of CVSM and the age of the horse, different therapeutic options exist. A diet that is aimed at reducing protein and carbohydrate intake and, thus, reducing growth will allow the vertebral canal to “catch up”. The three most important nutritional factors appear to be excessive dietary digestible energy, excessive dietary phosphorus, and dietary copper deficiency. However, it is important that restricted diets are carefully managed with professional supervision. Dietary supplementation with vitamin E/selenium is also recommended. In adult horses, the options for medical therapy are restricted to stabilizing a horse with acute neurological deterioration and injecting the articular joints in an attempt to reduce soft tissue swelling and stabilize or prevent further bony proliferation. The aim of surgical treatment is to stop the repetitive trauma to the spinal cord, which is caused by narrowing of the vertebral canal, and thereby, to allow the inflammation in and around the spinal cord to resolve. Surgical treatment of CVSM is controversial, mainly due to concerns regarding safety of the horse after surgery and potential heritability of the disease. 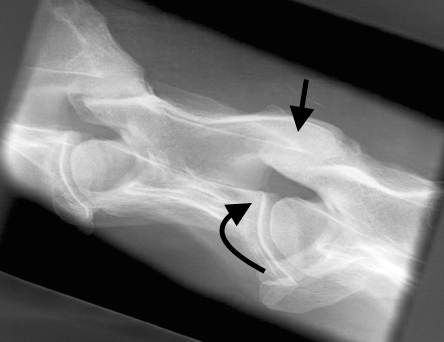 Ventral interbody fusion through the use of a stainless steel “basket” is currently the most commonly used surgery for CVSM. The prognosis of horses following surgical treatment depends on the age of the horse, the grade of neurological deficits that were present prior to surgery, the time the horse has demonstrated neurologic disease for, the number of compressed sites, the severity of the lesions, and the post-operative complications encountered. Following surgery, an improvement of 1-2 out of 5 grades is expected, although some affected horses improve more than 3 grades. 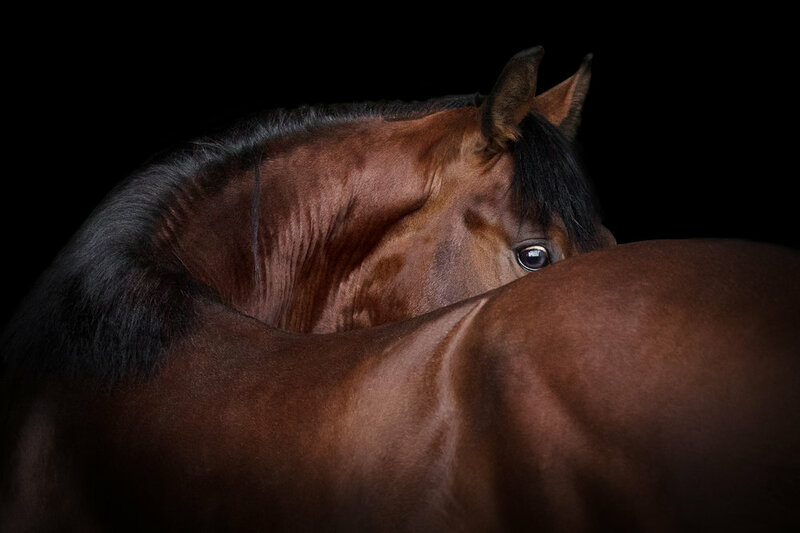 Whether horses are treated medically, surgically or not treated (i.e., just turned out), the response and the prognosis depend on the age of the horse, the severity of the neurological deficits, the duration of neurological signs, and what level of performance is expected from the horse. Without treatment the prognosis in all types of CVSM is poor, as there is continued damage to the cervical spinal cord with an increasing chance of severe cord damage.